I just got home today from mailing a few things with Remi. I put her down for her nap, sat down for a little "me time" (a mama's gotta mom haha) and came across these pictures from last week in Fairmont. Today in the post office, the cashier was obsessed with Remi. As I filled out package information, the clerk watched Remi sift through my wallet and stash the $10 "purple money" bill in her pocket - sneaky girl! She was blown away by Remi's vocabulary, which I really don't feel is much because I don't have much to compare her to, but she does get that a lot! Some delivery guys came in and Rem said hi to each of them with every re-entry. That started to get a bit repetitive so I set her down and let her roam for a minute with my keys so she could fumble with each mailbox and get them "unlocked". As all of this was going on, the cashier was raaaaving about how clever and observant she was! My initial thought was "yeah yeah, heard it all before. This lady must really love kids..." but then I quickly had a little change of heart. 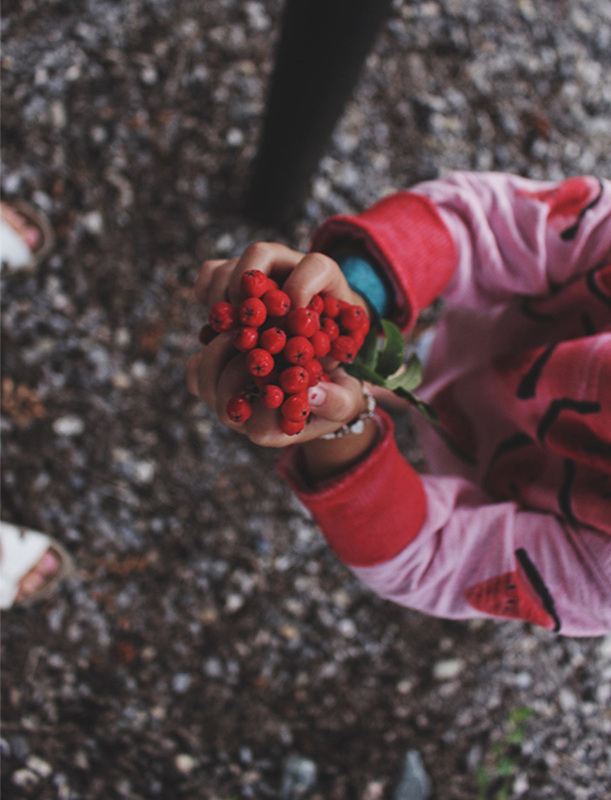 How sad is it when we grow so familiar that we forget to give or accept praise? 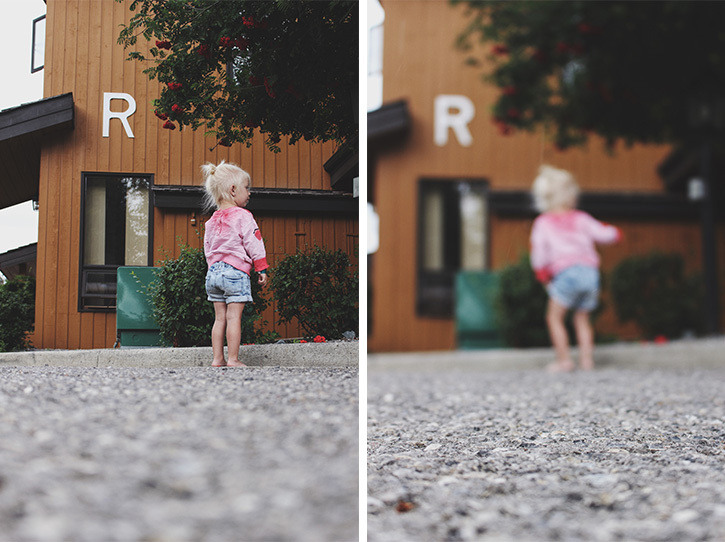 Taking it back to these photos, at this particular moment in Fairmont a storm was brewing but Remi and I escaped outside to quickly explore, look at the "R is for Remi" that she was obsessed with, and gather some little berries while "pretend" nibbling on them. 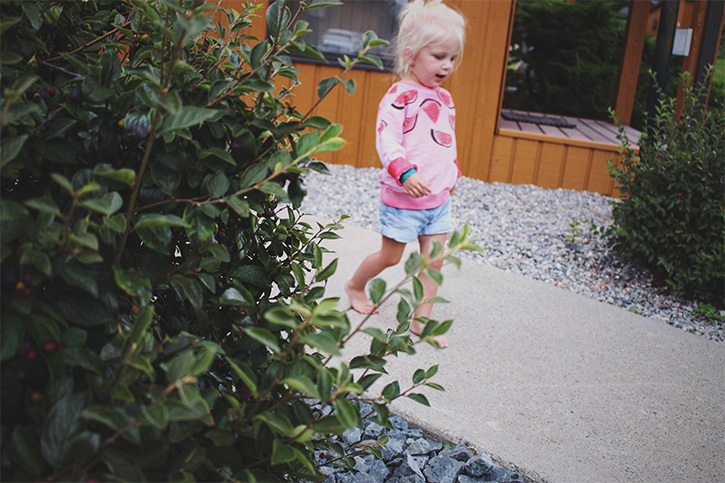 I am loving her keen little imagination these days! Pretend is her favorite. "Pretend my clothes are pretty as princess!" "Pretend I scare you! RAWR!" She set up a little shop on the curb and let me buy from her little market. "Here you go! That will be two dollars, please. Thank you! Have a nice day!" 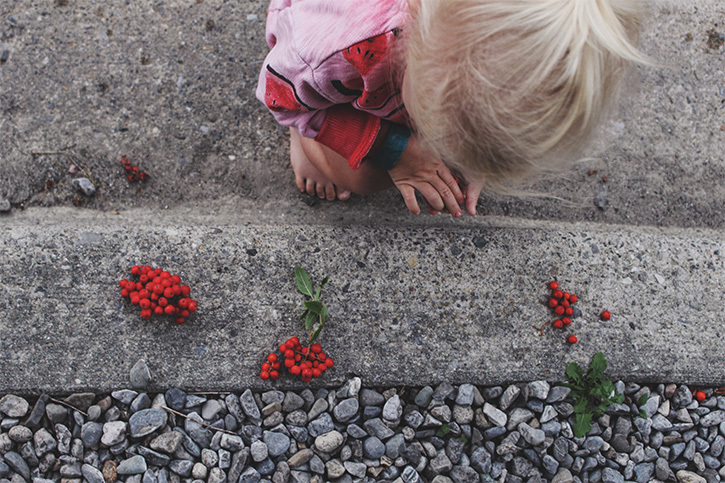 Money and shop items all come from surrounding nature. eg: the yummiest wrap in the form of a pinecone wrapped in a leaf! I love it. It took everything in me to keep the camera out (mom shame) because I wanted so badly to finally capture her sweetness with a few snaps but also get right in there and play! 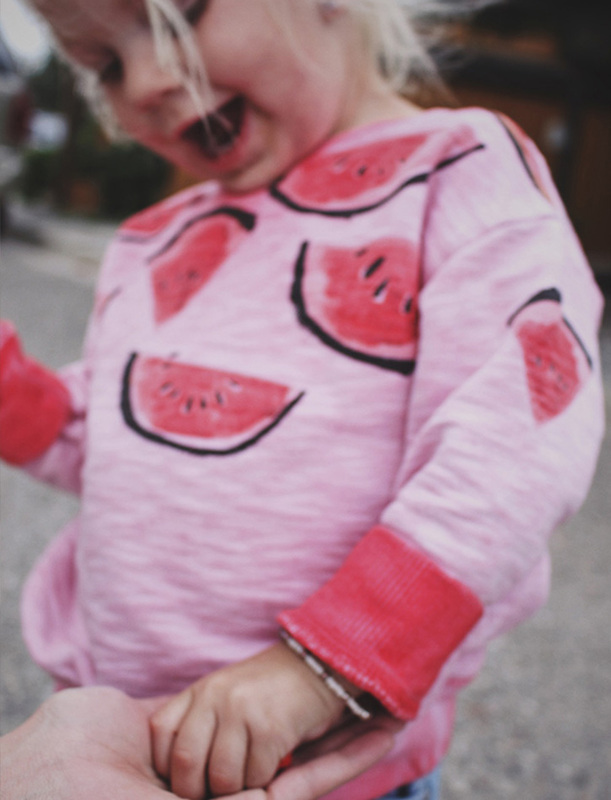 I love her playfulness. She really is the kindest little soul. Sometimes she hits and it annoys me like none other, but it usually means an invasion of personal space, that she really wants something, or that she's straight up hangry. (The hanger in this lady is real!) I like that she knows what she wants though and that she will tell me. I think assertiveness is gold! 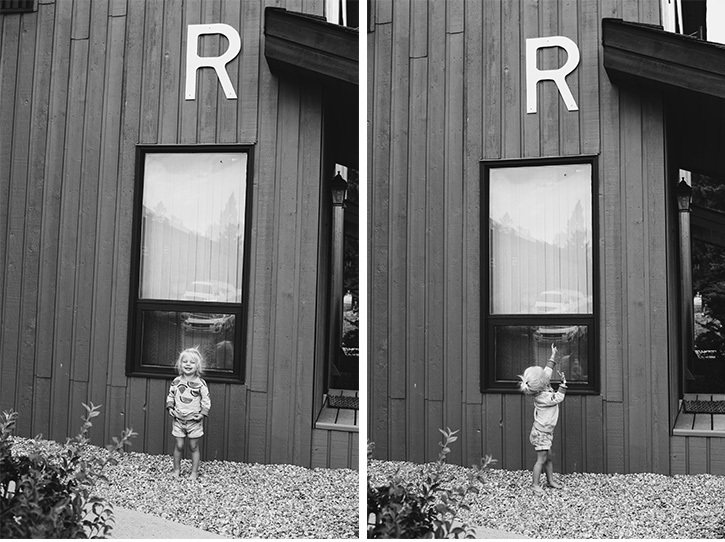 When we got home from Fairmont, Rem couldn't quite understand why we didn't have a big R plastered to the side of our house. I quickly reminded her of the R on the wall in her room and she was okay with that. 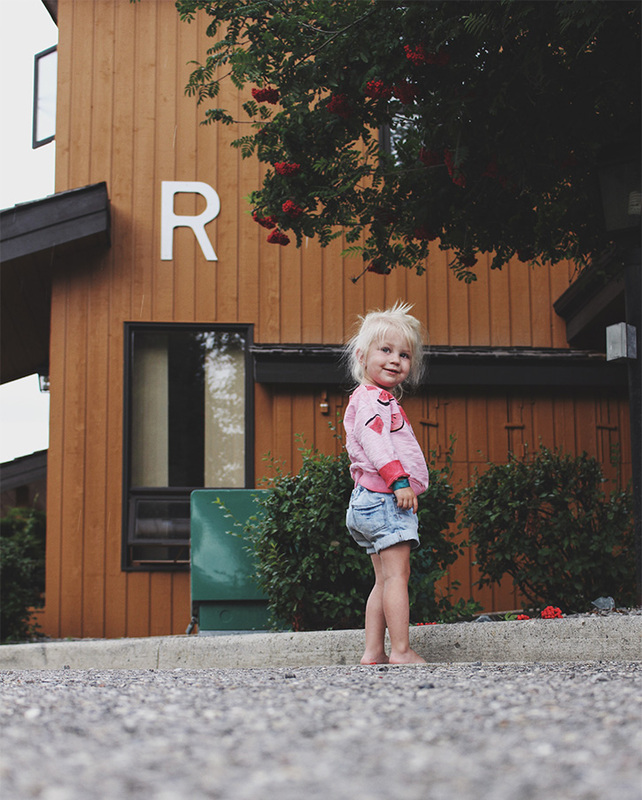 She now points "R's" out wherever we go! I'll officially be cracking down on this letter thing ASAP! Bry you make my day!